Over the past few months, Facebook has been aggressively making its instant messenger Messengermore capable by adding the ability to send money to a friend and talk to an AI bot. It seems the company has two more interesting features lined up, if the code of the iOS app is any indication. According to a report, Facebook could soon add in-store payment option for goods and services and introduce new chat options. Comments on the code of the Messenger app for iPhone reveal that Facebook is working on a feature that would allow users to “pay directly in Messenger when you pick up the item” in a store without the need of cash, reports The Information. The addition of this feature to Messenger, which recently announced it has hit 800 million monthly active users, could make it serve as a mobile retail hub. It appears Facebook wants users to shop at brick and mortar stores by using its app. The report notes that a handful of retailers such as Everlane and Zulily are using Messenger for handling customer service. According to the report, Facebook also plans to bring ads to messages between users. The timeframe for this rollout is slated to be by the end of June. It appears Facebook is also working on a “secret conversations” option in Messenger. It’s not clear whether this means that the company wants to further bolster security in Messenger, or introduce Snapchat-like ephemeral messages. 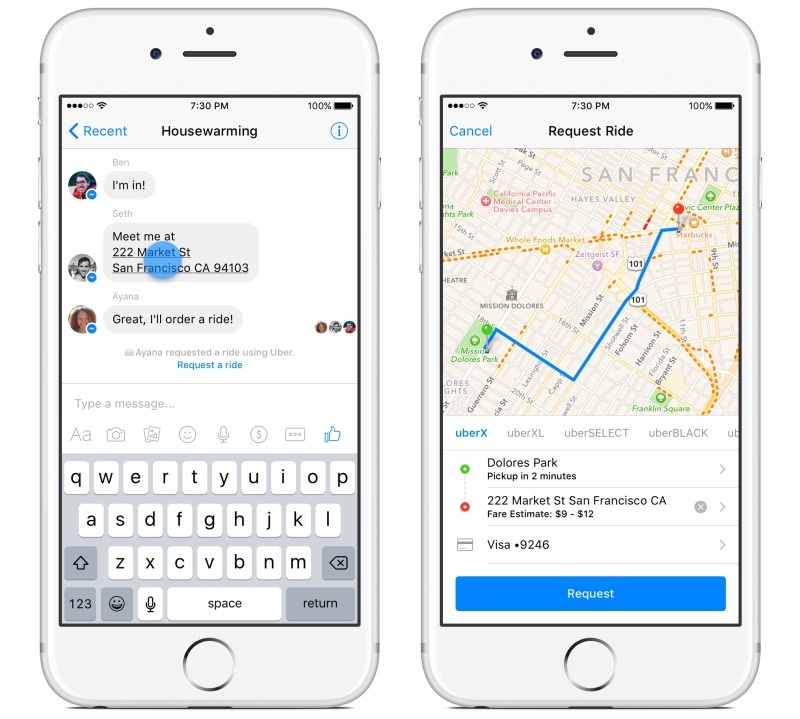 Facebook also seems to be experimenting with chat bots, possibly adding the ability to have it book a taxi ride for users. ​The report adds Messenger for iPhone code contains mentions of calendar sync features, the ability to share article quotes with friends, and status messages for select friends.